Thank you for sharing your heart and your story of how God is working in your life. 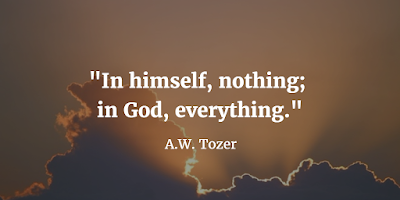 I think I am going to check out Tozer's book "The Attributes of God." I hope you have a wonderful day! I hope you do, Liz Rose. Tozer spoke to me in a way that very few (if any) other Christian authors have. It wasn't about him at all, it was all about God. Tozer wasn't perfect, but God definitely used him to bring glory to the Trinity. Thanks for taking time to comment! I fell in love with Tozer in high school, but it's been a while since I've read any of his work. Might have to pull that book out of storage sometime!